Mary opens the discussion with Steve, Richard, Kelly, and Wade around how each are individually motivated — by praise or negativity? Mary shares her thoughts on motivating her kids, not through fear but rather a cause and effect of having to suffer the consequences of their actions. Making it psychologically safe to be around you. Are you motivated by praise or challenge? 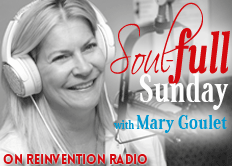 @marygoulet shares her thoughts.